Use Rat Sorb to control those rancid, foul odors caused by decaying rodent carcasses inside walls, attics, and in other hard to reach areas. 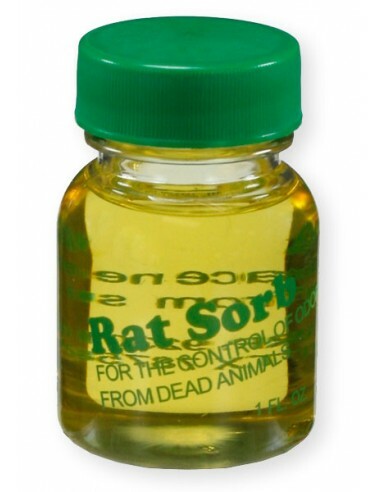 Simply use a cotton ball and soak it in Rat Sorb. Place cotton ball in wall, attic, etc. Use several cotton balls for bad odors. Cotton balls soaked in Rat Sorb can be placed inside walls through electrical switch plates, plumbing accesses, or make your own small hole. Rat Sorb can also be diluted with water and sprayed on concrete, carpet, wood etc. Pleasant odor. 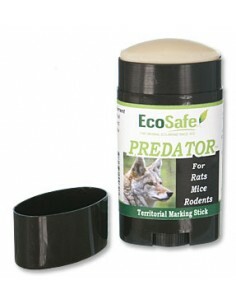 Used by all the Professional pest companies to fight rodent odors caused by rodents dying inside walls or attics as a result of eating rat bait (rodenticides). Works on skunk smell, and all other odors too! * Dilute with water and spray on concrete, carpet, wood etc. * Works on skunk smell and other odors, too ! 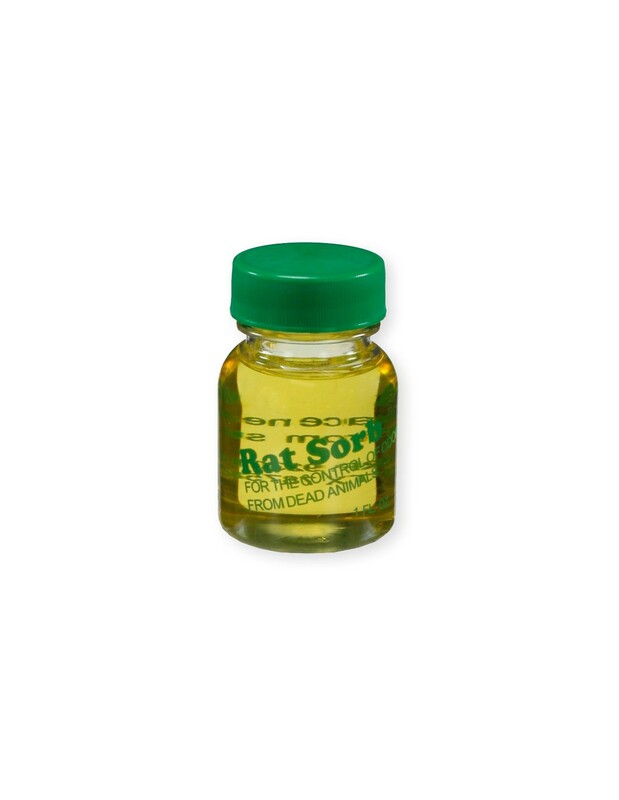 * Rat Sorb is easy to use and it quickly eliminates odors. * Do not place on areas that could be easily stained. * When odors are severe use several cotton balls to eliminate odors. * Soaked cotton balls can be placed inside walls through electrical switch plates, any utility access or make your own small hole. * Rat Sorb may also be diluted with water and sprayed on and into areas like concrete, carpet or wood. * works as an odor eliminator for many other offensive odors as well. Use Rat Sorb to control those rancid, foul odors caused by decaying rodent carcasses inside walls, attics, and in other hard to reach areas. Simply use a cotton ball and soak it in Rat Sorb. Place cotton ball in wall, attic, etc. Use several cotton balls for bad odors. Cotton balls soaked in Rat Sorb can be placed inside walls through electrical switch plates, plumbing accesses, or make your own small hole. Rat Sorb can also be diluted with water and sprayed on concrete, carpet, wood etc. Pleasant odor. Used by all the Professional pest companies to fight rodent odors caused by rodents dying inside walls or attics as a result of eating rat bait (rodenticides). Works on skunk smell, and all other odors too!